We are in a world of increased homogeneity where fashion, phones or cars are dominated by chains and high street brands. 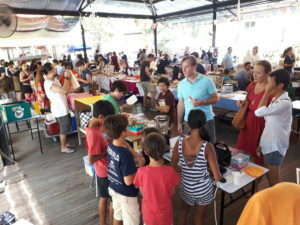 Therefore, it’s a welcome respite, at least to me, to browse through a market where homemade cakes and Nasi Kunyit are sold by the vendor who made it earlier themselves. Best of all, there aren’t any middlemen or foreign workers buzzing around. As a result, some of the vendors are amateurs or part-timers experimenting with an idea or passion. Some were just getting in touch with their artistic side. So, if you are curious about what’s on sale, just ask the person who made it. They’ll be happy to chat with you all day about their wares. First of all, there’s a laid-back sense of community here. It’s also is a great place to people watch and feel the pulse of the younger, artistic side of Penang. Whatever your view, it’s an interesting way to spend the afternoon. You’ll find something to enjoy, no matter who you go with. Spend the day browsing all the local treats with family and friends. Sample food in the semi al fresco grounds of the former Hin bus company depot. I have been to the market once or twice before. However, one day some relatives took a booth for the kids to try their hand at being milkshake vendors for the day. They had such a great time selling and interacting with the patrons it inspired me to write about the Hin Bus Depot pop up market. 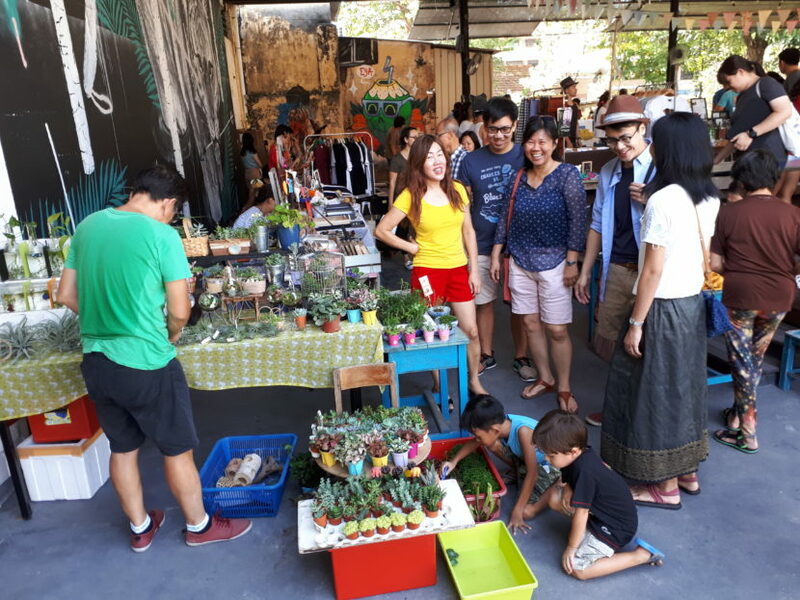 The Hin Bus Depot pop up market market operates Sundays 11am to 5pm. This is one of my “go to” recommendations for my MM2H or culturally inclined visitors.